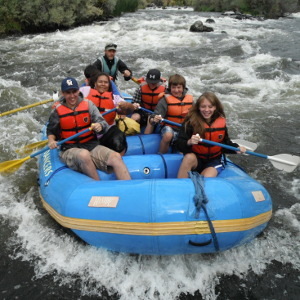 River Dancers offers several Klamath River rafting trips. The Klamath River is the second largest river in California running 263 miles from Oregon through California to the Pacific Ocean. It offers something for everyone – from the mellow and relaxing to the truly adventurous. 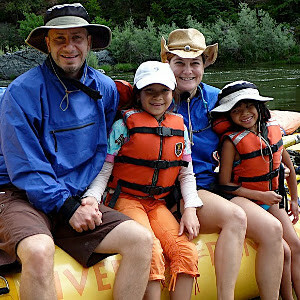 The Klamath River is great for families and school groups. If your time is short, try a one-day trip. If you have more time, a multi-day trip is like no other. Camping comfortably on secluded beaches under endless stars. Swimming in cold spring fed creeks on hot summer days. Kayaking and swimming rapids. Eating gourmet meals to the sound of flowing water. It is an experience you’ll never forget. 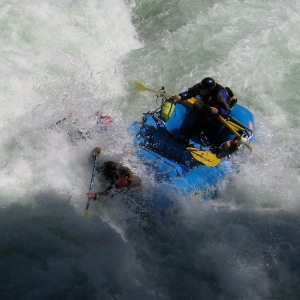 A great introduction to white water rafting and kayaking. Perfect for families with small children or teenagers. 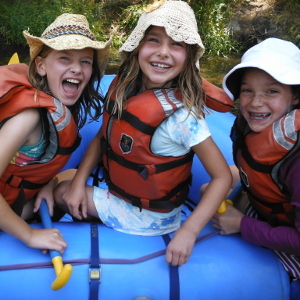 Fun rapids, deep pools for swimming, abundant wildlife, and warm summer days await! The best summer white water on the west coast. A challenging run requiring a practiced spirit of adventure! August 1-3, 2019. Marty Sochet and River Dancers invite fathers and their children (7 & older) to share an unforgettable three-day wilderness experience on the Klamath River in northern California.